What is CPD and keeping it on track ? A commitment to CPD is an integral part of being a professional. Keeping your knowledge and skills up to date in today’s fast-changing world of work is vitally important, yet some people find it more challenging to plan and systematically improve their own skills than to set up systems for continuous improvement in the workplace. So now you’ve come this far. As a training company, DeLever Ltd provides rated by candidates as best they have attended. We have helped many companies, mentors, assessors, HR, training managers keep their CPD on track. myAPCDiary helps supervisors of candidates and the candidates log their experience. Training managers see where employees are in a process. 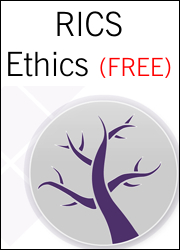 USB resources for Final assessment with a bonus Ethics masterclass. Lead by Jon Lever FRICS. MD of DeLever Ltd and RICS Governing council member. A 60 minute APC mock interview with real and current APC assessors. The DeLever APC mock interview is as close to the real thing as we can make it. The interview questioning will be based on your personal APC submission documents, just like the real APC final assessment. The mock interview is followed immediately by a 15-minute feedback critique from the assessors based upon your performance. Inspection is a core competency for many of the RICS Assessment of Professional Competence (“APC”) pathways. This is because inspection of property is a core – but often underestimated – skill for surveyors in a wide range of disciplines and assessors will want to test it rigorously. In almost every surveyor function, from valuation to project management, accurate information gathering informs the inputs that the surveyor uses to make decisions and advise the client. Nothing happens in isolation and given that the assessors will take a holistic overview, experience, knowledge and skill in inspection are essential as a starting point for overall competence. All competencies are measured against specific descriptions articulated in the RICS APC Pathway Guides. To achieve level 1, candidates will need to know about different requirements for inspection and demonstrate an understanding of factors affecting the approach to inspection. In other words, knowledge of the information-gathering process that underpins competence. At level 1, assessors will want to check that candidates have a good knowledge of key documents – particularly those produced by the RICS – and the law. For example, candidates should be familiar with the RICS guidance note Surveying Safely. Health and safety as a mandatory competency has significant crossover with inspection and assessors often take the opportunity to test two competencies at once, since they only have one hour to test around seven technical competencies (depending on the pathway) and 10 mandatory competencies. A common pitfall is out-of-date level 1 knowledge of documents or the law, making it important for candidates not to rely on older editions of textbooks or university notes. For example, Surveying Safely was written in 2011, but has, to a certain extent, been overtaken by subsequent legislation, such as the Control of Asbestos Regulations 2012. It is imperative for candidates to stay up to date on health and safety by regularly looking at the HSE website. A top tip is not to forget that, for most pathways, inspection knowledge at level 1 will include construction and defects. Whether a candidate has an understanding of how a property is built, how old it is and what may go wrong with it, is a good way for assessors to test the general property knowledge that forms part of the “surveyor sense”. Don’t underestimate the value of looking at construction sites for all classes of property or even watching programmes such as Grand Designs. Level 2 moves into the realm of practical application. At level 2, candidates need to demonstrate, with reference to specific examples, experience of undertaking inspections to gather information for various purposes. The information gathering will vary according to the purpose of the inspection and assessors will often test a candidate’s understanding of the context for the inspection. In other words: “why am I here?” and “what information do I need to collect?” This can include a discussion about the terms of engagement and level of service agreed with the client. At level 2, inspection methodology is often questioned and can confuse candidates. A simple question such as “what did you do once you arrived at the property?” can cause panic and overthinking. What the assessor wants is the actual mechanics of the inspection described step by step in a logical fashion. A good way for candidates to do this is to describe the checklist used and reference RICS guidance, for example, HomeBuyer Report (4th edition) Practice Note Checklist. Candidates must remember to mention record keeping and note taking as a key part of the inspection. A potential pitfall is not listening to the question and launching into a description of the due diligence carried out prior to inspection rather than the inspection itself. A top tip is to focus on the inspection for the case study, as this inspection is likely to be probed more fully. Level 3 centres around providing reasoned advice to clients, adding value through skill and experience and making recommendations that enable clients to take decisions about property. This requires interpreting the information gathered and showing insight. Remember that in this context a client can be any stakeholder, ie, it could include the candidate’s team members. The candidate must describe the format of the advice given, what the advice was, the reasons for that advice and what the client did with it. For example, the advice may have formed part of a written report, which suggested seeking specialist advice because something was observed that may have constituted contamination and the client acted on that advice by employing a chartered environmental surveyor to protect its interests. Contamination can be a good area of more complex reasoned advice. Candidates should ensure that they have read the RICS guidance note – Contamination, the Environment and Sustainability – use the appropriate language and don’t overstep their area of competence. A potential pitfall is not taking responsibility. Candidates need to use “I” not “we” and be the surveyor responsible (under supervision) for giving that inspection advice to the client. A top tip is to choose words carefully. Advice is the key word for level 3. Candidates should ensure that they include it in responses to questions about examples of inspection experience. Inspection is often the first competency tested in relation to the case study and a well-prepared candidate can create a good impression through confident and knowledgeable “surveyor sense”. Inspection competence will provide an impression of a “safe pair of hands” and feed into the holistic overview. Revising won’t be enough: candidates need to be articulate and confident about their experience to be able to demonstrate competence. Underestimate inspection at your peril. What are the three types of asbestos? What does Japanese knotweed look like? How old is this building? How do you know that? What did you put in your report? Why did you advise the client to…? *Don’t assume that the questions given here will be asked at an APC assessment. Assessors will focus on and pose questions on the basis of the candidate’s declared competencies, pathway guide requirements, up to date developed knowledge base and the examples provided in their summary of experience, etc. Inspection is a competency where supervisors and counsellors can make a big difference in developing a candidate’s “surveyor sense” and their ability to articulate it. They should allow candidates at an early stage of training to shadow them on any interesting inspection and discuss what is being done and why. Over time, candidates should be asked to describe their own inspections in order to develop a fluency in response to questions.